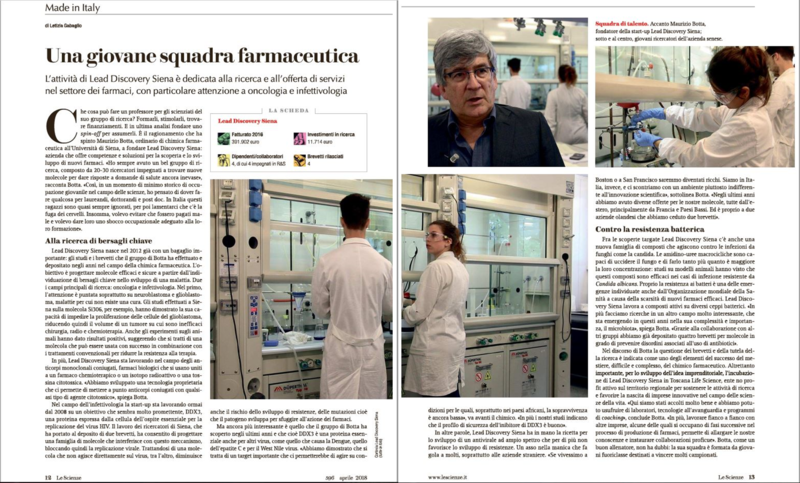 In the April 2018 issue of Le Scienze, the reporter Letizia Bagaglio describes LDS activities and research purposes. Le Scienze is an Italian monthly science magazine, Italian edition of Scientific American. A biotech company providing drug discovery services for Industry and Academia.